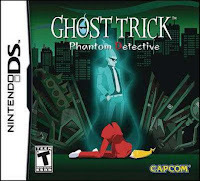 Ghost Trick Ghost Trick: Phantom Detective is a story driven puzzle game where the player controls the ghost of the recently deceased protagonist to try to find out who murdered him; he has limited time as when the sunrises on the following morning he will cease to exist. The game starts with the death of the protagonist, Sissel, who has lost his memory and has no idea who he is. The player then controls his soul to possess various unanimated objects to travel to various locations and eavesdrop on conversations of living people around him to gain clues about his missing identity and who murdered him. Sissel can only travel a limited distance between objects, and possess selected items that have a “core”. 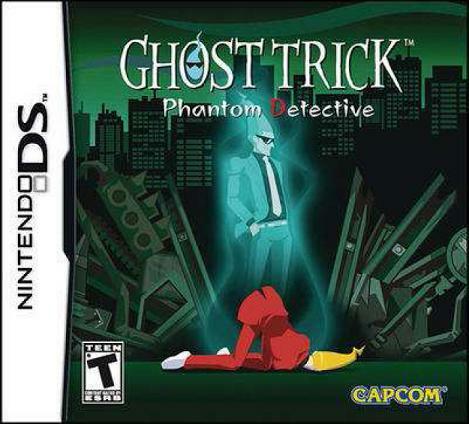 Certain objects allow him to perform “Ghost Tricks”, where Sissel can use the “powers of the dead” to interact with the object, for example flip a switch or to open a door. The player can travel to different locations of the city in which the story takes place by possessing telephones and “calling” the desired destination. Sissel cannot take control of living beings or dead bodies, however he can communicate with the souls of the recently deceased and witness the four minutes leading to the death, he can also act in those four minutes to try to change their fate. The gameplay is puzzle based, but there are elements of timing and precision required. The player must perform Ghost Tricks on different items in the proper order and timing to affect what is happening in a scene. Another big part of the game mechanics consists of witnessing murders and the events leading to them and then trying to find an alternative chain of events that leads to a different outcome. · The game boasts a very distinctive visual style, bright block colours and cel shaded look, in motion the graphics are equally as charming with characters moving in a very lifelike way and quirky cartoon-like elements; such as a dancing detective and in a later level a Heath Robinson / Rube Goldberg machine. · The gameplay is like a puzzle, there is only one solution in each scenario and the player need to work which objects to manipulate and in the correct sequence to successfully open new paths of investigation. A secondary task is and need to watch what is happening and eavesdrop on people present to gather information; this in turn can also open other paths of investigation, such as new locations to travel to. · The player can enter the Ghost World where the passage of time pauses with the “Ghost” option. Here he can possess objects by moving Sissel’s soul (a blue flame) onto the “core” of the object, these are white spots seen in objects, to possess them. The world is in red when in the Ghost World and only objects with cores can be possessed.